Some days I am in complete disbelief that I am 35 years old, single, and starting over again. Or let’s be honest — every day I am in disbelief of this. Nine years ago, I was single and living in another state thousands of miles from where I live now. I chose to make big changes in my life all at once. I met a man, I relocated, and I changed my career all at once and became a teacher. I also changed my nutrition habits and began working out obsessively, dropping 50 pounds. Three years passed and I married. It was only one year later that I jumped ship from one school to another and piled on a coaching role as well as a class mentorship role on top of my other work. Sitting still is not something I do well. I was raised to strive; to be the “A” student, the best, the honors kid, the do-gooder. I don’t know if all the change was a result of being bored after a year (possibly) or because I was on the constant quest of “bigger, better, more” (the more likely scenario). I slammed myself with change, and then slammed myself again with more change. Year after year, I chose to do something different, shake things up. After six years of marriage, I chose to leave. It was terrifying. I had never broken up with a boyfriend before, let alone end such a huge commitment like marriage. But I did it and walked away. I knew it was what I had to do. Within months, I was in a new relationship. Again, I had found what was better and more – more love, more fun, more trust, more passion. I had slipped out of the body obsession for a year when I jumped into this new relationship, but now I was back in it; back to exercising and counting every bite I ate. I was in this pattern of “Something always needs improving.” If my relationship was good, I needed to change my body. If my body was good, I needed to switch my career. Two years later, my dad died. He had been sick for some time, yet no one thought he was on his way out. I was devastated, to say the least. His passing impacted me in a very different way. I had a newfound outlook on life. I was determined to go live it. I mean really go live it. I was eager to try new things, travel, meet new friends and to find my purpose; do all the things I was either too scared, broke or “not good enough” to do before. So I did just that. I attended women’s retreats. I read book after book. I surrounded myself with inspiring leaders and life coaches who I wanted to emulate. Eight months later, I left my teaching career to become an entrepreneur and work as a professional coach. Once again slammed with change, everything in my life — career, body, love life — began to spiral out of my control. Owning a business was so much harder than I ever imagined. My focus on that and my personal growth robbed me of focusing on my relationship and a life with my partner. I gained a bunch of weight and couldn’t seem to get a grip on it. In the past, where at least one thing in my life was always steady, I now found myself in a sea of inconsistency and questions. I seemed that I had nothing to grab on to. I began to have that uneasy, unsettling feeling again that change was coming…and this time it would be big. I was already feeling disjointed and out of control, so the feeling of pending change was very scary. How much rockier could the waters get? Boy, was I right about the next wave of change that hit me. All at once, my life’s purpose and the work that I was meant to do was suddenly crystal clear to me. I knew exactly what I wanted, where I wanted to be and who I wanted to be with during the next chapter in my life. This was really all good news, however, the downside to this was when I did find clarity, I saw that nothing I was doing in my life was supporting any of these dreams. I became so excited and so terrified all at once. My mind was set to one track: get on the boat to where I really want to be going. My now three-year relationship fizzled out. We grew apart. We had struggles. I wanted children and to be married again; he didn’t. I knew that I was a visionary leader, and though I loved my friends, I was not surrounded by people who understood what I was up to. I lived in a city I hated and always hated. Everything had to change. I ended my relationship. I relocated again, this time not heading to anyone. Now I live by myself in a beautiful seaside city that I love. I have friends nearby, and I have a support system in place when I am not too stubborn enough to ask for it. Day to day, I don’t know what I’m doing, yet overall I know where I am headed. This is a quiet time in my life where I trust that I am being divinely guided. Some days I feel incredible and excited, and other days I want to hide under the covers because the fear is too much. The other day on social media, I saw one of my former students posting he needs new friends, that people don’t understand him, etc. My advice to him was this: “Dust off. Step up. Move on. Part of life, kid. You’ll find your tribe. Actually, you’ll find your tribe many times over and over again as you get older. It happens. So what? Now what? All you can do is surround yourself with people you aspire to be like. All a choice.”After I read it back to myself, I realized I can take my own advice during this phase of my life. I do believe what I wrote to him — life is a series of “try-agains”. Trying again is not the same as a “do-over”. I’ve heard “do-over” or “start over” for years, and I’m conditioned to think that if I am starting over, there must be something wrong with what I did in the past. Even the phrasing makes it sound like I took a giant Eraser of Shame and wiped the slate clean, never to even think about my past “mistakes” again. In this transition period of my life, I am finding my tribe. I am waiting patiently for the future father of my children to show up. I am meeting new people and learning new tools that are teaching me (ever so slowly) how to manifest my vision as a professional relationship coach and transformational trainer. I am trying again. I am dusting off. I am stepping up. My soul is on its journey, and I am the vehicle carrying her. Trust, forgiveness, love and patience are my new friends. It’s happening. 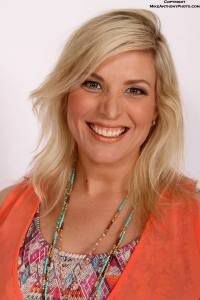 Holly Berube is a transformational trainer, speaker, teacher, and life coach. She is committed to creating a world where everyone gets to love, and she is a firm stand for every human being to gain awareness and breakthrough in their life visions. An expert in connection and transforming relationships, Holly is a visionary leader who has dedicated her life to the awakening of others to their greatness. She believes everyone is perfect, whole, and complete exactly as they are, and every person has a gift the world needs.